I usually go looking for stories, but this one came to me. In September 2010, a former schoolmate living in Bangkok e-mailed me a family tree. It was a huge family tree of an old Hokkien-Peranakan family in colonial Singapore in the 1800s that spanned to the 21th century to Bangkok and a few other cities in the world. This is the story of the Siamese connection in that family. On 29 January 1819 Sir Stamford Raffles, a colonial administrator from Calcutta, discovered the island of Singapore at the southern tip of the Malay Peninsula. 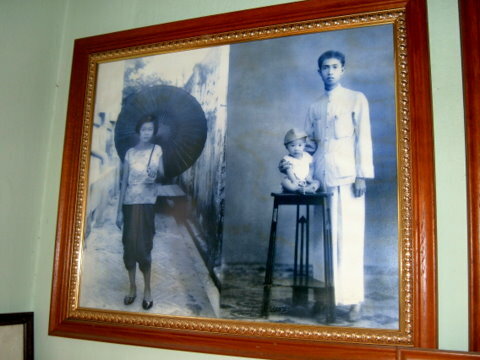 In that year, a 21-year old Chinese from Malacca arrived on the island. In his life of 52 years, he would leave a lasting legacy in modern Singapore. 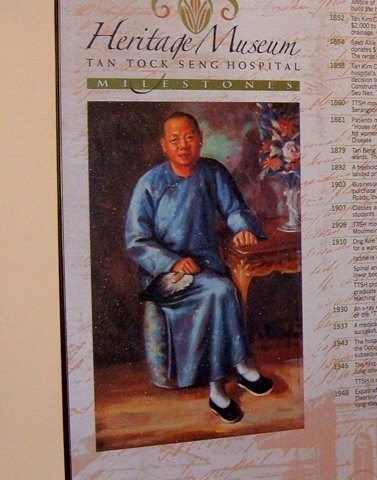 Tan Tock Seng (1798 – 1850) was born in Malacca, the son of a Hokkien¹ father and Peranakan² mother. He came to Singapore and made a living selling fruits, vegetables and poultry to the thriving port. 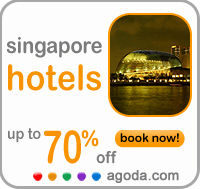 His business grew and in 1827 he opened a shop by the Singapore River. It was in land that Tan Tock Seng made his fortune. He went into business with British merchants to buy up land around the city and port area. As the port grew, so did land values and Tan Tock Seng became a very rich man. Even with his vast wealth Tan Tock Seng didn’t forget his humble beginnings. He paid for the burials of the poor. In those days, the poor who were sick and dying were taken to “Death Houses” in Chinatown to wait out their time. Sago Lane, which had several of such houses, was called “Sei Yan Kai” in Cantonese, the Street of the Dead. In 1844, he started a Chinese Paupers’ Hospital in Pearl’s Hill with a donation of Spanish³ $7,000. That hospital moved in 1860 to a new location and was renamed Tan Tock Seng Hospital where it remains till today. The road where the hospital is located is aptly called Jalan Tan Tock Seng. Tan Tock Seng died in 1850 at the age of 52 and was buried at Outram Hill. The inscriptions on Chinese tombstones in those days were elaborately written in traditional script and the gist is as follows. Grand-daughters and together they erected this tombstone. 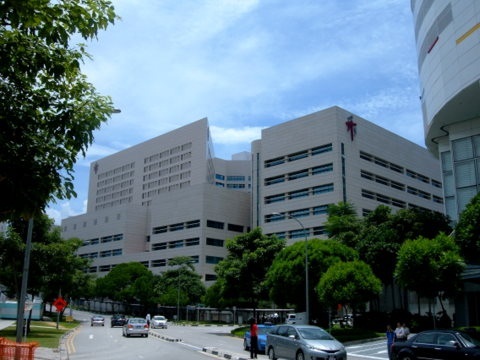 On 25 July 2001, the Tan Tock Seng Heritage Museum was opened in the hospital in memory of the invaluable contributions of one of our early pioneers. 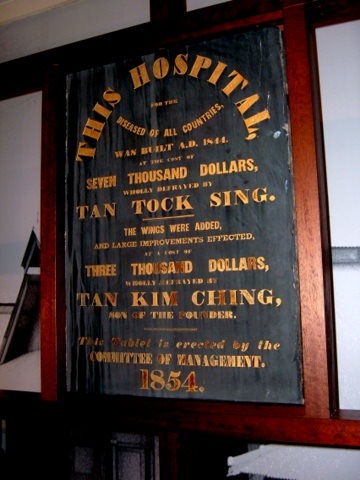 Tan Tock Seng had three sons and three daughters. 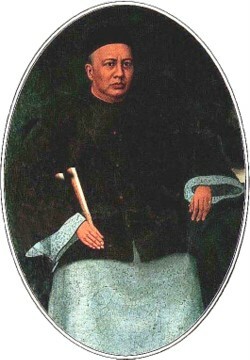 His eldest son, Tan Kim Ching and another son, Tan Teck Guan were to establish close relations with old Siam. These relationships continue to this day. ¹ Hokkien is a Chinese dialect group from southern Fujian province. Tan Tock Seng was founder member of the Singapore Hokkien Huay Kuan, (Hokkien Association) his descendants were to play active roles in this association. ² Peranakan is a Malay term meaning locally born descendants of Chinese traders who settled around Malacca, Java, Sumatra in the 14th century and later in the 19th in Penang and Singapore. They are sometimes called Straits Chinese (as they live in the old Straits Settlements of Penang, Malacca and Singapore) or Baba (men) Nonya (women). They can also be found in Phuket Thailand. 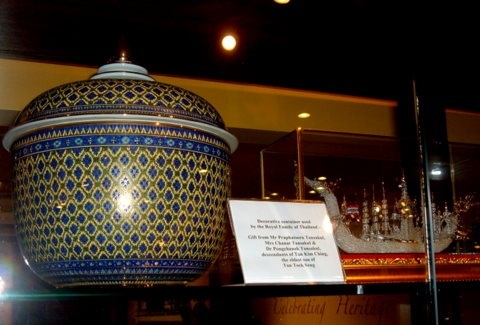 For more please see, Peranakan Museum Singapore. ³ Spanish dollars were also in used in the Straits Settlements. For the rest of this article, the currency is in Straits Settlement dollars in use from 1858 – World War II. Tan Kim Ching (1829 – 1892), the eldest son of Tan Tock Seng, inherited his father’s entrepreneurial and philanthropic spirit. 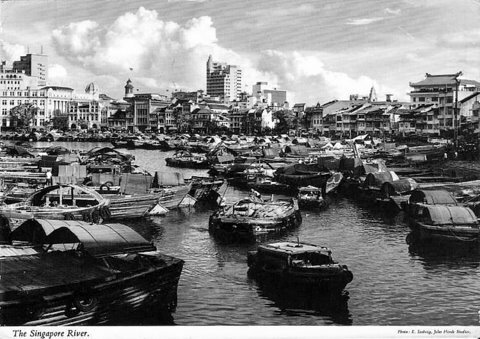 Kim Ching started his business in rice trading and took over the shop along Singapore River where lighters brought in goods from the ships at sea and labourers heaved the heavy sacks into warehouses. Later he moved on to tin mining and tax farming¹. His business interests covered northern Malaya, Patani, Saigon and Siam². In the process, Kim Ching developed very close relations with the British, Malay and Siamese rulers in the region. This made him an ideal negotiator and arbiter in various disputes. 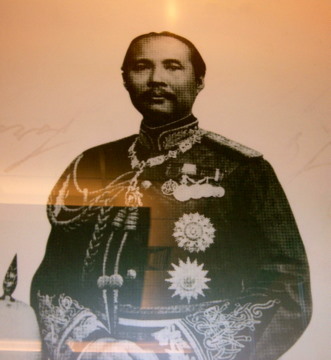 In 1863 King Mongkut (King Rama IV 1851 - 1868) appointed Tan Kim Ching as the first Siamese Consul in Singapore. King Mongkut was the king who employed an English governess at the Siamese Court, a story many are familiar with. What is less widely known today is how she was employed. Sometime in 1862, King Mongkut wrote to Tan Kim Ching to find a governess for the royal children. William Adamson (later Sir William Adamson), the manager of Borneo Company, recommended Anna Leonowens, a Welsh widow teaching in Singapore. King Chulalongkorn (King Rama V 1868 - 1910) elevated Kim Ching to Consul-General in 1885. Kim Ching was also appointed the Special Commissioner for Siam in the Straits Settlements (Penang, Malacca and Singapore). In March 1871, when King Chulalongkorn was 18, he made the first overseas trip by a Siamese monarch to study the administration in Malaya and Java. When the royal yacht Regent, anchored off-shore in Singapore, Tan Kim Ching boarded the royal yacht to greet the king. To commemorate that historic visit, King Chulalongkorn presented Singapore with a bronze elephant. The elephant was originally placed in front of the Victoria Memorial Hall. On his second visit to Singapore in May 1871, King Chulalongkorn had breakfast at Siam House, Tan Kim Ching’s residence in North Bridge Road opposite St Andrew’s Cathedral. This was to be the first of several more visits. During this visit, King Chulalongkorn spent the day at the Whampoa Residence in Serangoon Road, home of a Chinese businessman Hoo Ah Kay. The next royal stop was at Raffles Institution, the oldest school in Singapore started by Sir Stamford Raffles in 1823. By December 1871, the first batch of 14 Siamese students of royal blood enrolled at this school. In May 1890, King Chulalongkorn and Queen Saowapha toured British Malaya. In Malacca, Queen Saowapha had tea with Tan Teck Guan, Kim Ching’s younger brother, at his home in Heeren Street (Jalan Tun Tan Cheng Lock). Back in Singapore, the Siamese royalty visited the General Hospital and Tan Tock Seng Hospital. King Chulalongkorn donated $1,000 to the Tan Tock Seng Hospital when he heard about the philanthropic work of Kim Ching and his father. On 4 June 1890, King Chulalongkorn visited the Anglo-Chinese School in Singapore. Soon after, Siamese students enrolled in this school. But the close relations between the Tan family and Siam continued. There were a number places in Singapore which King Chulalongkorn visited several times during his visits to Singapore. Siam House, Tan Kim Ching’s residence, was of course one of them. The king also loved the garden in the House of Whampoa. When Whampoa died, another Chinese businessman Seah Liang Seah bought the house and renamed it Bendemeer House. In 1890s King Chulalongkorn leased Hurricane House which was on a huge plot bounded by Orchard Road, Scotts Road and Draycott Drive for his residence when he visited Singapore. Later, presumably when the lease expired, a smaller plot of this land was bought for $9,000 for the Siamese Embassy in Singapore. 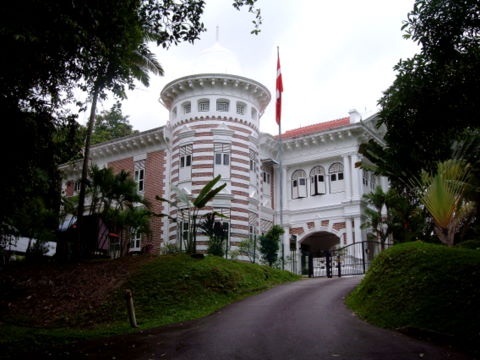 In 1909 Tan Boo Liat, Kim Ching’s grand-son, built the Golden Bell Mansion, 10 Pender Road on Mount Faber. Prince Chakrabongse, the second son of King Chulalongkorn frequently stayed here during his visits to Singapore or when in transit to Russia where he was studying. ¹ Tax farming – A system is which an individual collected taxes on behalf of the ruler by paying a fixed fee. Taxes collected in excess of the ruler’s quota are retained by the tax farmer. ² The name Siam was changed to Thailand in 1939 by the then premier Field Marshall Plaek Phibunsongkhram. In this article Siam is used for events before 1939 and Thailand after that. ³ The letter from King Mongkut to William Adamson discussing Anna’s terms of employment is with the Borneo Company and a copy is available in the National Archives, Singapore. For his service to the Siamese crown, Tan Kim Ching was awarded the rank and title of Phraya¹ Anukulsiamkit. 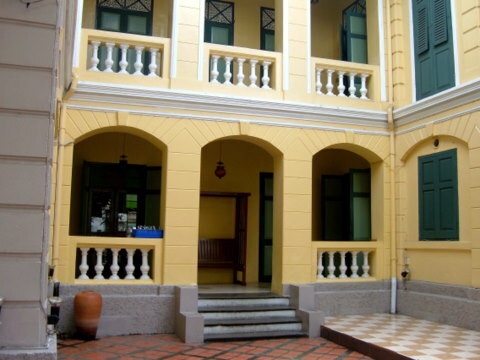 He also started a family in Siam when he married Khunying² Puen and built Siam House at 591 Phra Sumen Road in Bangkok. The noble title Anukulsiamkit was adopted as his Siamese family name. 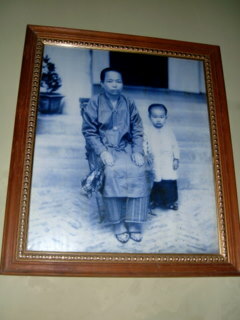 I have only managed to trace two of his children from this marriage; his son Siew Kong and daughter Choon Neo. 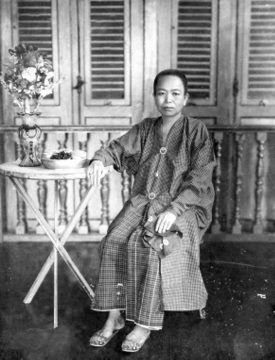 Siew Kong later inherited Siam House in Bangkok. 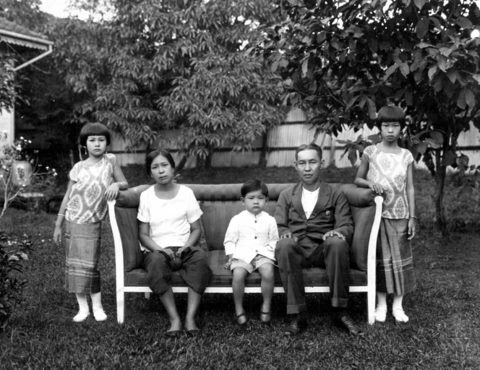 Siew Kong had two daughters from this marriage, Cheuy and Sri. Cheuy married Sahas Vatcharapai. Cheuy and Sahas’ eldest son, Dr Thavorn Vatcharapai married Monthakarn. They have a son, Vatcharapat and daughter Tavitee. From another marriage³, Siew Kong had a son, Jaem who married Chalio. Jaem and Chalio’s son, Praphatsorn Tansakul married Chanat. Praphatsorn and Chanat have a son, Dr Pongchanok Tansakul. The Tansakul family has donated two exhibits that are now in the Tan Tock Seng Heritage Museum. Kim Ching’s daughter Choon Neo (Choon Anukulsiamkit) married a rich Chinese businessman from southern Thailand, Wee Teck Pao ( Pao Virangkura). They had three children, two girls and a boy. The second daughter Molee, later Thanpuying² Molee, married Dr Thanat Khoman, Foreign Minister of Thailand 1958 – 1971, a prime mover in the formation of ASEAN in August 1967 when the inaugural meeting was held in Bangkok. Choon and Pao Virangkura built their home at 123 Petchaburi Road, Bangkok. Later two more houses were added for members of the extended family. In keeping with the family tradition, Choon and Pao contributed generously to temples, schools and hospitals. Monks stopped by their house every morning for alms. ¹ Phraya is a rank awarded to men who have served the king well, the order of precedence is Chao Phraya, Phraya, Luang, Khun. These ranks are non-hereditary and the award of such ranks was abolished at the end of absolute monarchy in 1932. ² Thanpuying/Khunying are titles awarded by the king to outstanding women in society, the order of precedence is Thanpuying, Khunying. This is still practised and titles are awarded by HM the King on Coronation Day, 5 May. ³ It was customary in those days for the rich Chinese to have more than one wife. Polygamy wasn’t illegal then. When I was at the Anglo-Chinese school in Singapore, there was a Thai student who joined us from 1967 – 68 for our A levels. Sirilaksana Chutikul is the daughter of Payong Chutikul, the Thai ambassador to Singapore at that time. I never spoke a word to her during those two years as we were in different classes on different floors. When I came to Bangkok, I didn’t even know she’s living here. I met Siri in 2009 after friends put us in contact and spoke to her for the first time. Today she is Dr Sirilaksana Khoman, married to Thiravudh “Woody” Khoman, the youngest son of Dr Thanat Khoman and Tan Kim Ching’s great-grandson. They have two daughters Wasamon and Patamon. It was Siri who sent me the Tan Tock Seng family tree. In April 2010, she was researching her family ties while writing a book to commemorate Dr Thanat Khoman’s 96th birthday in May. The family found a bundle of old letters Dr Thanat’s father had written to Dr Thanat when the latter was studying in France since he was 14. The 113 letters, written by a loving father to his teenage son over a period of 12 years and kept for 80 years by the son, are compiled in the book “Thanat Khoman: The Formative Years” by Siri. Tan Kim Cheng, Khunying Puen, their daughter Choon Neo and her husband Wee Teck Pao were mentioned in one of these letters. Today the Tan clan has more than 1,700 members who live in Singapore, Malacca, Bangkok and various places in the world. They meet every three years; the first reunion was in 2005, the second in 2008. Previously their Thai cousins weren’t there because they weren’t in contact. The next reunion is in July 2011. 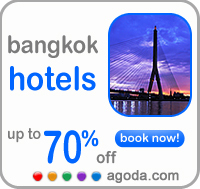 This time their Thai cousins from Bangkok will be there. Towards the end of his reign, King Chulalongkorn visited England for the second time and met with the elderly Anna. There’s a touching account of the conversation between the ex-student who became king and his ex-teacher which was conducted with the utmost courtesy, notwithstanding the offensive contents of Anna’s books. King Rama V died on 23 October 1910. The day is designated “The Day of our Beloved King” and a national holiday. This year, 2010 Thailand commemorates the centennial of his death. 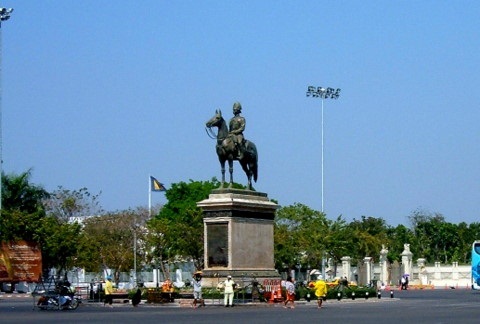 King Rama V Equestrian Monument, Royal Plaza, Thais can be seen praying at the statue every day. On 23 October the crowds are much bigger. The Royal Thai Embassy, Singapore at 370 Orchard Road is still on the plot of land purchased in 1896 by King Chulalongkorn. Shaw Centre, Royal Plaza on Scotts and the American Club occupy the rest of the land that used to be the grounds of Hurricane House. 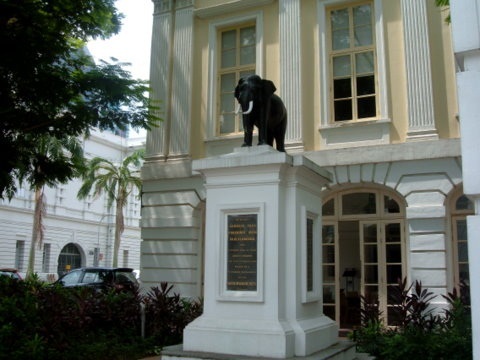 The bronze elephant presented by King Chulalongkorn to Singapore in 1871 is now in front of the Arts House in Old Parliament. There’s Thai restaurant there called 1827, the year the building was built. King Chulalongkorn presented the second bronze elephant to Dutch Batavia, (Java) his next stop after Singapore. Today that elephant is in front of the National Museum in Jakarta. The Indonesians refer to the building as “gedung gajah” or elephant building. Tan Tock Seng’s grave remains in its original location at Outram Hill at the junction of Outram and Seng Poh Roads. 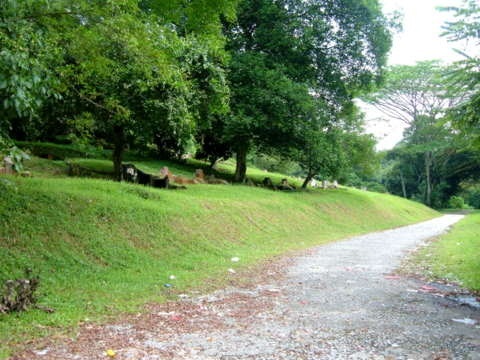 Tan Kim Ching’s remains were moved from Changi to Bukit Brown, Sime Road off Adam Road where it remains today. However I was told by Roney Tan, Kim Ching’s great grand-nephew, that the area might be affected by development. In land-scarce Singapore even graves are exhumed to make way for development. 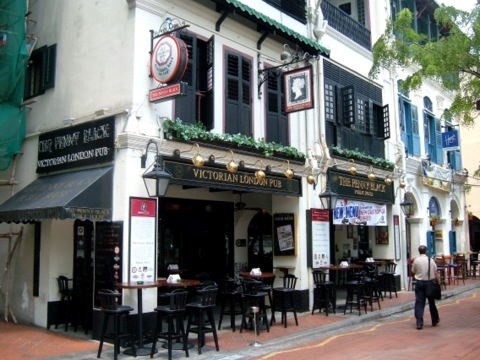 Tan Tock Seng’s shop on the Singapore River is now the Penny Black Pub, 28 Boat Quay, the first unit in the row of pubs and restaurants in Boat Quay. Gone are the lighters bringing goods from the ships off-shore and the Chinese labourers who toiled to carry the supplies ashore. Only tourist boats ply the Singapore River now. After Tan Kim Ching’s death, Siam House passed on to his grandson Tan Boo Liat. In 1906, Boo Liat started Tao Nan School with support from the Hokkien Huay Kuan and Hokkien merchants in Singapore. 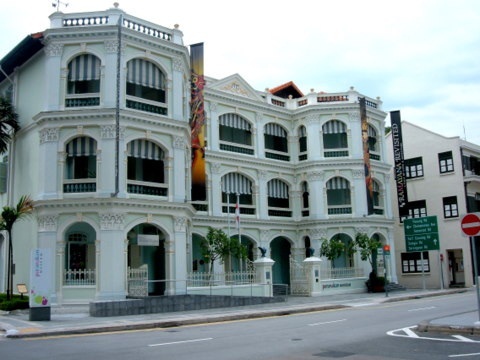 However the school building wasn’t ready and Siam House was used as temporary premises until 1912 when the building in Armenian Street was ready. Sometime after 1912, Siam House was sold to property developers. The Peninsula Plaza is presently on the site of the old house. The House of Whampoa or Bendemeer House was demolished in 1964 to make way for the housing and industrial development in the Kallang Basin. Today streets in Singapore are named after these men or their homes; Kim Cheng Road, Whampoa Road, Liang Seah Street, Bendemeer Road. Fortunately Siam House in Bangkok is still intact. 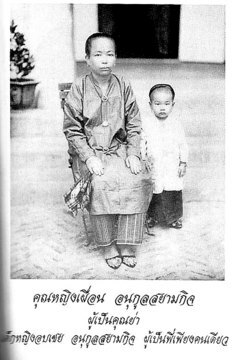 Kim Ching’s great-grandson, Dr Thavorn Vatcharapai inherited the house. It’s a restaurant today and managed by Vatcharapat, Dr Thavorn’s son. Regretfully, Dr Thavorn passed away this October. His funeral is on 6 November 2010. 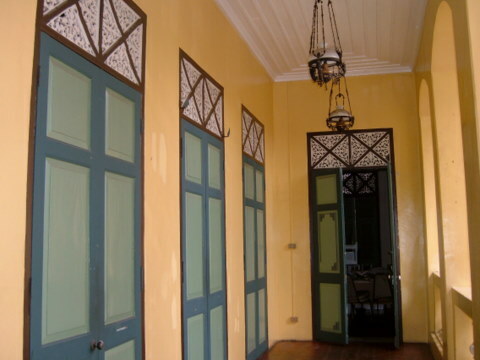 Kim Ching’s old home in Bangkok is preserved in good condition. Relics inside include these old family photos. 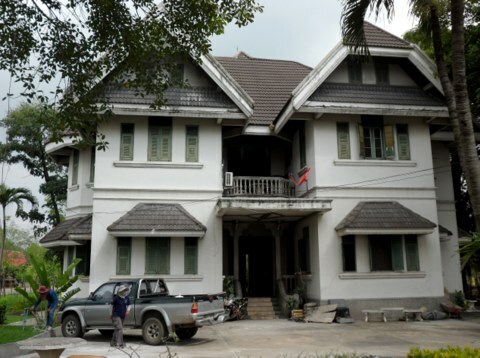 The original house where Choon and Pao lived was donated to the Buddhist College in Ayutthaya. In the manner of traditional Thai houses the wooden parts of the house were dismantled, transported and reassembled on the grounds of the Buddhist College. The concrete columns were reconstructed. After the original house was moved, a new building was constructed in its place. 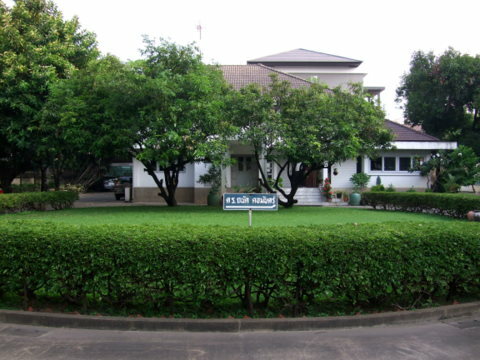 There are several other houses on the grounds of 123 Petchaburi Road today. Dr Thanat, his daughter and grand-daughter live there. Today, the skytrain passes overhead in Phaya Thai Road just 700 m away and stops at the Ratchathewi station. Monks still stop by at 123 Petchaburi Road every morning for alms, a practice since Choon and Pao first lived there. Someone will be waiting to make the offerings. 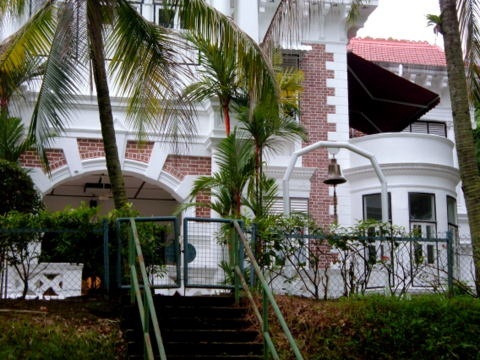 The grand building that used to be Golden Bell Mansion is still at 10 Pender Road, Mount Faber. 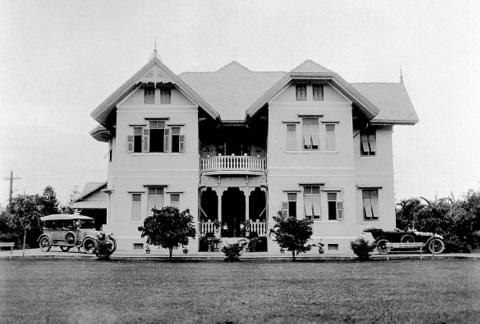 After Tan Boo Liat’s death in 1934, the mansion was sold. The building is now the Danish Seaman’s Mission. The golden bell hangs in the front garden. Thai students continue to enrol at the Anglo-Chinese School, a tradition started in 1890 when King Chulalongkorn visited the school. The beacon of Truth and Light which Bishop Oldham planted in this Island of the Main shines on. May the cordial relations established between our two countries since 1871 continue to flourish. I wish to express my thanks to the following persons and organisations that helped provide the historical details to this article. Dr Sirilaksana Khoman gave the spark that inspired this article and I am grateful for a copy of her book, “Thanat Khoman: The Formative Years” which I referred to and for the old photos from her family collection. Roney Tan provided the locations of the graves of Tan Tock Seng and Tan Kim Cheng, the history of Golden Bell Mansion and interesting historical snippets about his ancestors. 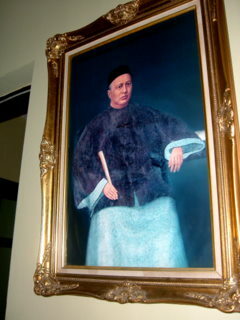 Tan Teck Guan, Kim Ching’s younger brother, who hosted Queen Saowapha for tea in Malacca, was Roney’s great-grandfather. Tan Boo Liat who initiated the setting up of Tao Nan School is Roney’s grand-uncle. Both Siri and her cousin Roney helped me understand their branches in this vast family tree, for which I am grateful. Vatcharapat Vatcharapai kindly arranged for a conducted tour of Siam House in Bangkok. Judy Kong, Associate Librarian, Public Library Service, National Library Board, Singapore directed me to the relevant search links in the National Library portal which were invaluable in my research. The Tan Tock Seng Heritage Museum for permission to photograph some of their exhibits. R Menon and Phua Tun Hung drove me around the various historical sites in Singapore and patiently followed me up and down cemetery hills in search of tombstones. 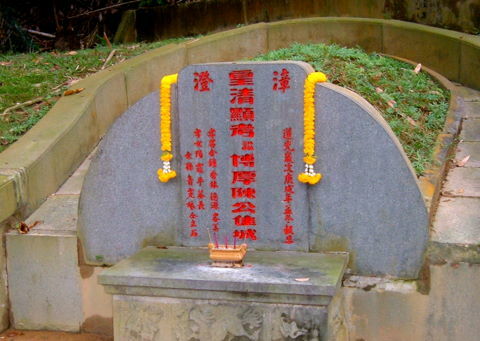 Patrick Heng and Yu Hsueh-Hui translated the traditional Chinese script on Tan Tock Seng’s tombstone. The information provided, though incidental to this article, gives an insight into old customs which have been eroded over the decades.